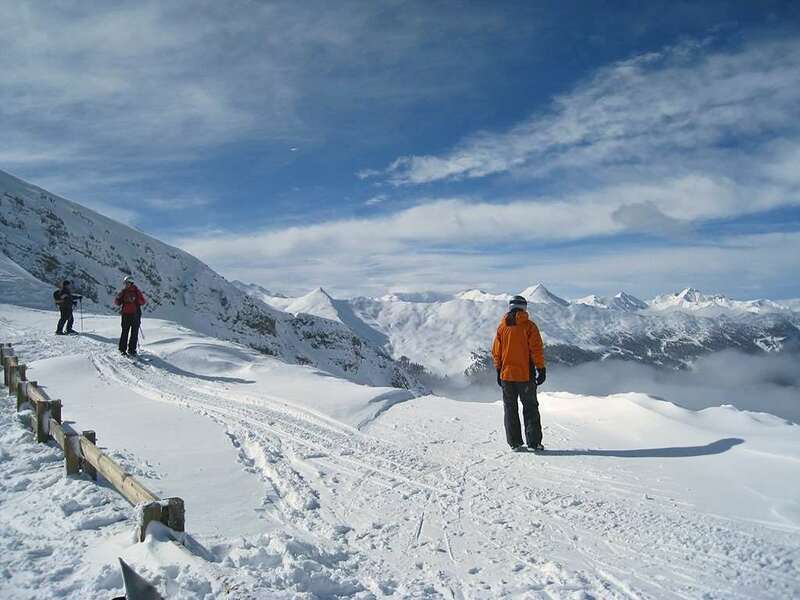 Risoul is located at an altitude of 1850m, has an excellent snow record, and is linked to Vars to form part of the extensive Domaine de la Foret Blanche ski area with its 180 kilometres of piste. The scenery in Risoul is particularly stunning, with many sweeping tree lined runs to enjoy during your ski holiday. Risoul ski resort houses many traditional and original resort buildings made of wood whilst still making the move towards more newly developed chalets made of wood and stone as the resort grows. With nearly 320 days of sunshine per year the resort is incredibly beautiful with a large snowbowl of ski area. The connection to Vars means that there is over 106 miles of ski worthy terrain. The après ski is family based but is still lively all day with plenty of bars, restaurants and shops. The snow conditions in Risoul are good as is the sunshine. The resort usually opens in the middle of December and closes towards the end of April. The climate is dry so the snow remains snow for longer as well as increasing the productivity of artificial snow where snow cannons cover a third of its ski area. Beginners are very well catered for, wide nursery slopes are conveniently located in the village centre and there are numerous easy runs further up the mountain leading back to the village to enjoy after a few lessons. Intermediates are spoilt with the huge variety of blues and reds, and advanced skiers will find some challenging black runs and moguls on the Vars side, and some great off piste around Risoul. Freestyle skiers and snowboarders have the luxury of one of France’s largest board parks. 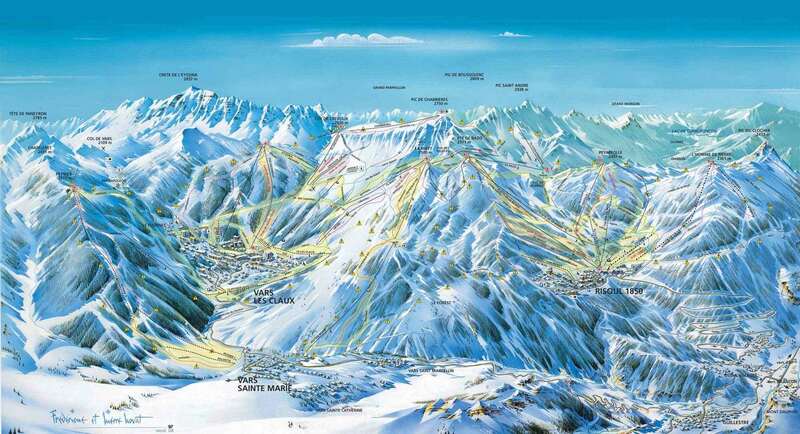 The après-ski is centred around a moderate selection of lively bars and shops. There is a good selection of restaurants catering for all tastes and budgets, from gourmet French cuisine to simple pizzas. The après ski scene is getting busier and busier each year as skiers and boarders stop off for drinks and food whilst skiing and return in the evening. There is also a cinema, skating rink and two disco nightclub venues. The transfer journey from Grenoble to Risoul takes approximately 3.5 hours.